It’s been more than a decade since the iPhone launched, giving birth to the golden age of smartphone cameras and Instagram filters galore. Technology has clearly changed our day-to-day lives in major ways, but it has also impacted how we document our most special events. You can’t watch your favorite couple wed or witness the jubilant father of the groom dance to a rousing rendition of Kool & The Gang’s “Celebration” without snapping a photo of the ring swap or grabbing a Boomerang video of all Bob’s sweet moves. The only thing better than the memories themselves is sharing those moments on social media. The best method for capturing the madness? It’s all about the wedding hashtag, baby. Here’s how you can use the most popular symbol in the social mediasphere to brand your big day and create a cohesive online album all your loved ones can add to and enjoy. The best place to start your wedding hashtag journey? Your very own names. Just like Brangelina, TomKat, and Barken (we might’ve made that last one up… apologies to Mattel), your relationship deserves a snappy little moniker that would look just smashing emblazoned across a supermarket tabloid or made into a cake topper. You can combine your first names, your last names, or some combination of the two, and you can merge your pre-marriage names or focus on the Mr. and Mrs. aspect. Your wedding date is a pretty important piece of the wedding-planning process, so why not memorialize it as part of your hashtag? The easiest method is to add the year to the end of an otherwise straightforward tag—#SmithJones2018, for example—but beware of overcomplicating things with the full date or fancy Roman numerals. #SmithJones01212019 just looks like you’re sharing your inmate number and #SmithJonesICXXIMMXIX is… well… not ideal. That second suggestion is just a matter of opinion, but the first is fairly solid. Opting for a wedding hashtag like “#SeymourButtsGetMarried” or “#SeymourButtsin2018” confronts the joke head on and makes everyone a little more comfortable about the elephant in the room (so to speak). Plus, it’s entertaining and it shows everyone that you two don’t take yourselves too seriously. Not exactly a natural comedian? Play with alliteration, try a few rhymes on for size, and look to a thesaurus for any synonyms that might fit the bill. If all else fails, poll your friends. 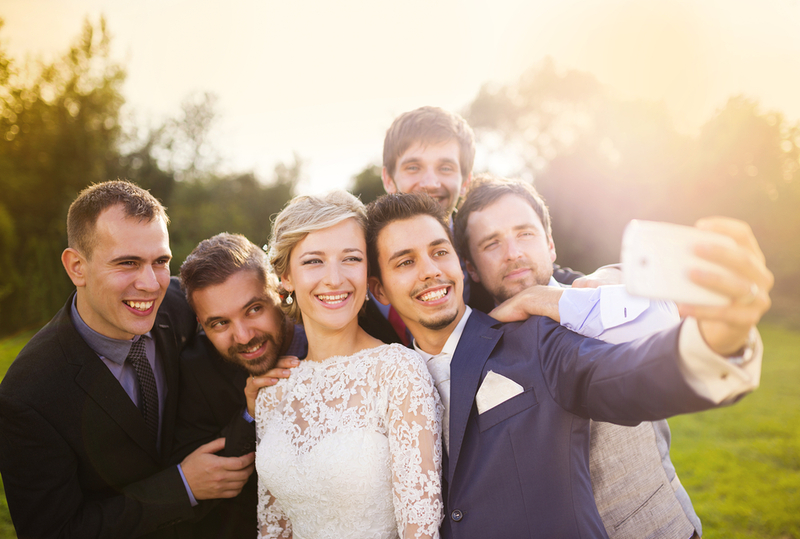 Almost everyone has a few buddies who would love to come up with a side-splitting wedding hashtag for their BFF. Cutesy is good, humor is usually a nice touch, and factual details are easy to insert, but the true magic of a hashtag is in the sentiment. Don’t shy away from words that evoke emotion. Use this opportunity to remind guests that you’re blending two families, starting a new life, or otherwise celebrating your love. If you’re feeling indecisive or suffering from writer’s block, ask your friends and family for suggestions. If that fails, try one of the hashtag generators offered by companies like PastBook and Shutterfly, and don’t forget to survey your soon-to-be spouse. He or she might not care about centerpieces or the great salmon vs. steak debate, but choosing a hashtag is more fun than frightening, and it can be done over wings and wine coolers if that’s your idea of a good time. Include a “hashtag how-to” guide with your invitations. Not all guests will be familiar with what a hashtag is, let alone how to use it, and if you want people to participate they need to know what that funny pound sign thingie is for. A short step-by-step instruction sheet gets everyone prepared to plug in the right words when it’s time to upload those special candid shots. 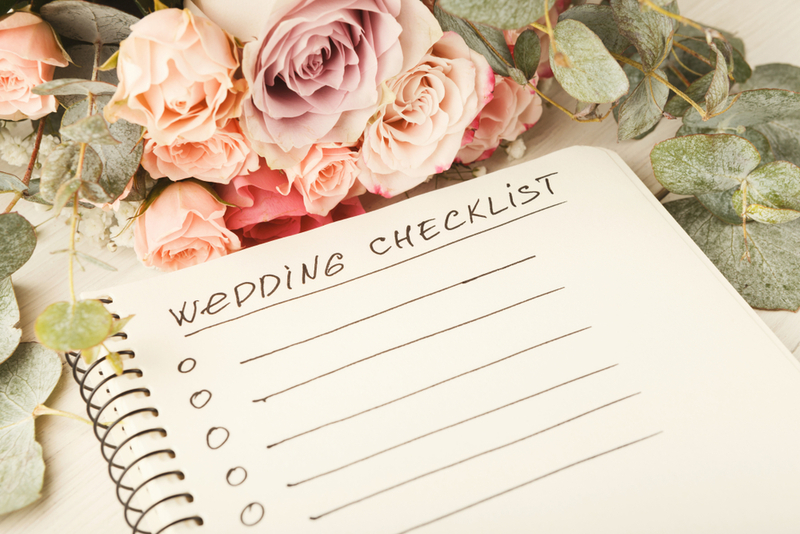 For good measure, clip a copy of the paper onto your programs, post a link to the online version of the how-to on your wedding website and social media pages, and leave a few copies around the reception site as well. Make sure to add “hashtag me” signs to your wedding day décor. 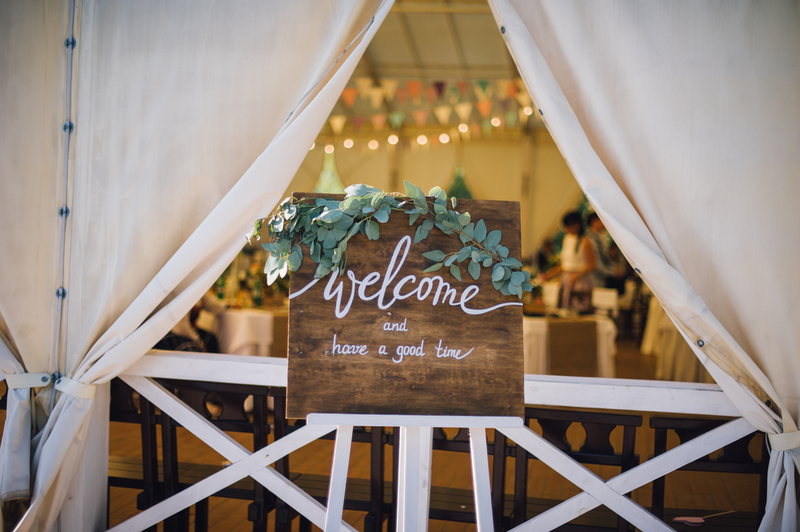 Printed reminders look chic tucked into artfully distressed frames, or you can say it loud and proud with an oversized chalkboard situated by the entrance at your venue. In addition to the hashtag itself, include your social media handles so guests can tag you in their posts during and after the celebration. Instagram won’t last forever, so you’re going to need another way to keep your wedding photos safe and sound. Scrolling through your feed will do for the time being, but eventually you’ll want to look up one of the many services offering professional compilations of your online albums. Chatbooks turns your photos into beautiful books that include your captions, dates, and locations as you posted them. The books are affordable and pre-determined layouts mean you have one less thing you and your betrothed need to decide. My Social Book offers beautifully bound photo albums featuring all your Facebook and Instagram pics or you can turn any of your pictures into a photomosaic. Get the Ink Cards app and use any one of your uploaded photos to make a premium ‘thank you’ card for your guests. 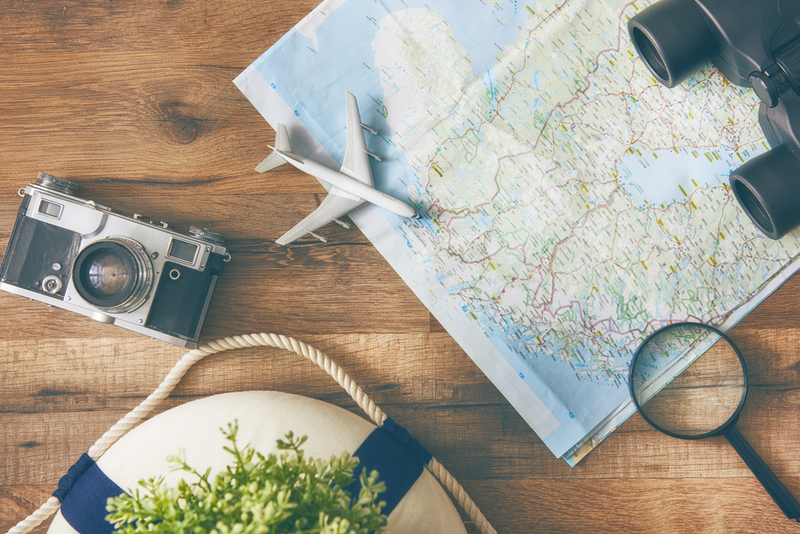 You can design, address, sign, and mail the cards right from your phone and pay that way too—no hunting for stamps or making a trip to the post office, which means you have way more time to enjoy sweet wedded bliss. Transform your pics into graphic marshmallows with Boomf… because why not? DO choose a hashtag early on in the planning process and stick with it. 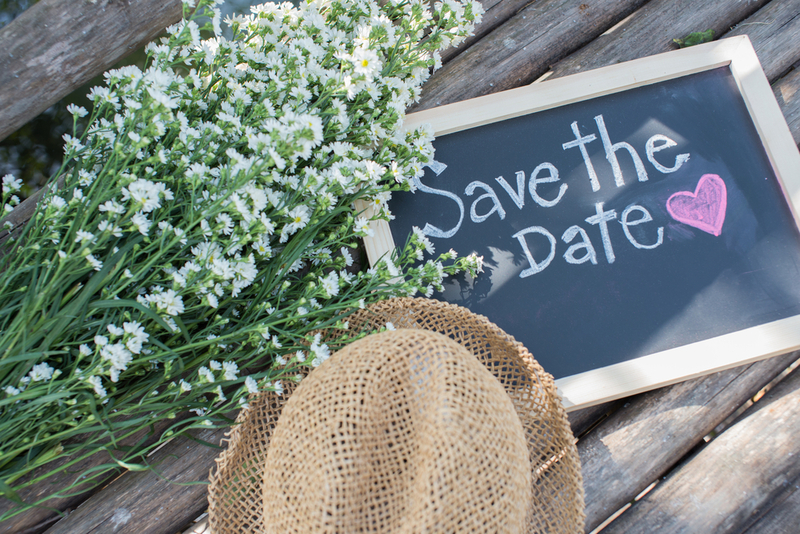 You don’t want separate tags for save the dates, the ceremony, and the reception, as that just confuses matters for you and for your guests. DO a quick search for your hashtag before you commit to it. You don’t want to find out that you’re competing with a commercial ad campaign or another couple after you’ve already sent out the invites. DO start each word in your hashtag with a capital letter for the sake of readability. DON’T expect to be able to control what people post. By creating a wedding hashtag, you’re basically inviting all your guests to build a digital photo album of your big day. Your privacy will be determined by whatever social media restrictions those guests have in place—if their Instagram is public, your pictures will be too. In a similar vein, you’ll need to accept that a pic of the bride in her finery might end up on Facebook before she’s even all the way back down the aisle. If you want to be the one who determines what images will be shared and which won’t, hashtags aren’t for you, and you may want to ask people to turn their phones off altogether (good luck with that). DON’T rely solely on guest photos. Professional photographers are expensive, but trying to skimp could result in an album full of shaky shots and blurry selfies. DON’T include any special characters (numbers are okay), spaces, or punctuation. Those won’t work for a hashtag and your new invention will no longer be clickable or searchable. DO watch your length. #SallyAndSamTieTheKnot still makes sense, but #WatchSallyAndSamGetMarriedOnTheBeachesofWaikiki is more likely to give your guests carpal tunnel than make them excited about using your hashtag. DO share your hashtag with your vendors. If you’ve given them the okay, your florist, cake maker, dress alterations guru, venue, and DJ will often be more than happy to take their own pictures—both during the event and while they’re making your goodies—and tag you in them online. Really, it’s a win-win situation—they get to promote your work and you get some behind-the-scenes photos you’d likely never see otherwise. DO take the time to go back and comment on the photos your guests have posted (it’s okay to wait until after the honeymoon, though). It’s a quick and special way to show your appreciation for their contribution, and you and your new spouse will enjoy the walk down memory lane as well. DON’T overthink things. When you’re dancing together at your golden jubilee, you might not remember your hashtag, but you’re almost guaranteed to have a few of those photos framed and hung on your walls. Still searching for the perfect place to say “I do”? 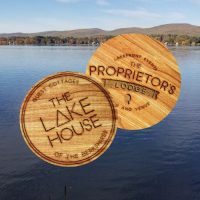 Have your wedding at The Lake House and establish your temporary home at our luxury guest cottages in the beautiful Berkshires. Lock up a cottage for you and your sweetheart and stay for a honeymoon in the shadow of the stunning mountains of Western Massachusetts. For more information, call The Lake House today at (413) 446-0017 or schedule a tour of our breathtaking lakeside locale.